SPNL initiated in the beginning of 2013 a project for empowering women funded by the UN Women Fund for Gender Equality–titled “Promoting Hima Women Empowerment for Conservation and Livelihood”. The three year project aims at enhancing the livelihood of rural women through the revival of the Hima approach. Under the project’s objective “to establish, build the capacity and raise the level of livelihood for the Hima women around established Himas in Lebanon”, SPNL has recently initiated work in the two marine Hima of Mansouri and Quolaileh, after starting the activities in the first phase of the project in the Hima of Anjar, Kfarzabad and Al Fakiha. Introductory meetings were held with the two municipalities of Mansouri and Quolaileh during the month of June. Both mayors and members of the municipalities showed eagerness to participate in the project promising to support SPNL by all the needed means. 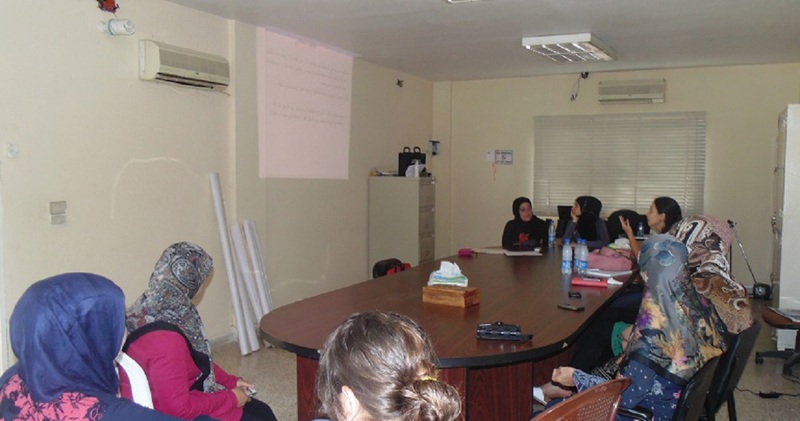 On a second stage, a meeting with the target group of women in Quolaileh was held on June 26th. The purpose of the meeting was to introduce the project and its activities. Moreover, the job skills that the women already know, or are interested to learn were identified. The project activities will resume in August with a series of trainings on income-generating activities during which, women will be trained on new skills aiming at creating new job opportunities. Other trainings on Capacity Building, Leadership, Decision Making, and Group Work will be organized, aiming at engaging women in the Hima and protected areas management. The project’s duration is three years and is funded by the UN Women Fund for Gender Equality.